You’re probably already dreading putting your clock ahead when daylight saving time starts this Sunday and plenty of research shows that’s not without good reason. Several studies have found springing ahead comes with a slew of negative consequences, including decreased productivity and a spike in traffic accidents. 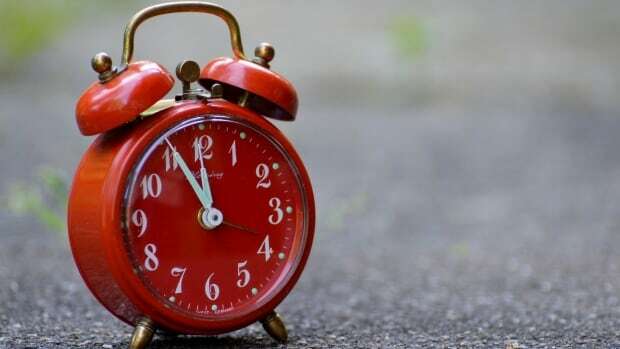 A 2014 study out of the University of Colorado found a 25 per cent increase in the risk for heart attacks the Monday after daylight saving time starts. It also noted a corresponding decrease in the risk for heart attacks at the end of daylight saving time in the fall. Dr. Tami Martino, director of the Centre for Cardiovascular Investigations at the University of Guelph, said there can be negative effects anytime our bodies become out of sync with the environment. That’s because the circadian clock, the 24-hour cycle that’s encoded in our DNA, is a fundamental part of our health. “Essentially every single cell in our body is connecting with just light. It’s connecting our bodies to the outside universe, to the sun and the sky, and sort of syncing us with the environment,” Martino said. Everything from cortisol levels to blood sugar and metabolism is tied to the cycle of light and dark, Martino said. Her research has also found patients recovering from heart attacks heal better when their day-night cycles aren’t interrupted. It’s easy for the body to get out of sync, though. The growing body of research on this issue has prompted places around the world to reconsider daylight saving time. The European Commission put forward a proposal in 2018 to end the practice, and a private member’s bill to eliminate daylight saving time in November 2019 is currently before the Manitoba legislature. There are already some places in Canada that won’t be setting their clocks ahead this Sunday. Saskatchewan is currently the only province where all municipalities don’t observe daylight saving time. In Ontario, there are three towns where the clocks stay the same year round. Dennis Brown, the mayor on Atikokan, said there have been multiple attempts to get the northwestern Ontario township to adopt daylight saving time. So far, they haven’t stuck. “I know it’s not perfect, because it does cause some confusion, you know for patient care at the hospital, administrative problems with outside visitors and that kind of thing,” he said.